Artist’s impression of the medieval buildings of the English Hospice, Rome, and the Church of the Most Holy Trinity and St Thomas of Canterbury, on the site of the present-day Venerable English College, as they would have looked in the mid-sixteenth century. Rome is many things to many people but it is most definitely not a ‘Gothic’ city. There are very few spires and flying buttresses, as one finds in other parts of Europe. With the notable exception of Santa Maria sopra Minerva and several more recent churches, the Romanesque, Neo-Classical and Baroque architectural styles reign supreme. This could have been very different. A century and a half ago plans were made to build a new church for the Venerable English College and the neo-gothic architect Edward Welby Pugin (1834–1875) was asked to produce designs. His famous father, Augustus Welby Northmore Pugin (1812–1852), had helped spearhead the gothic revival and designed the interiors for the Palace of Westminster and its iconic clock tower, ‘Big Ben’. E. W. Pugin himself followed in the family tradition and included among his work the Benedictine abbeys at Oulton (1853), Belmont (1854–85) and Stanbrook (1869–71). The image above, and the three images below. 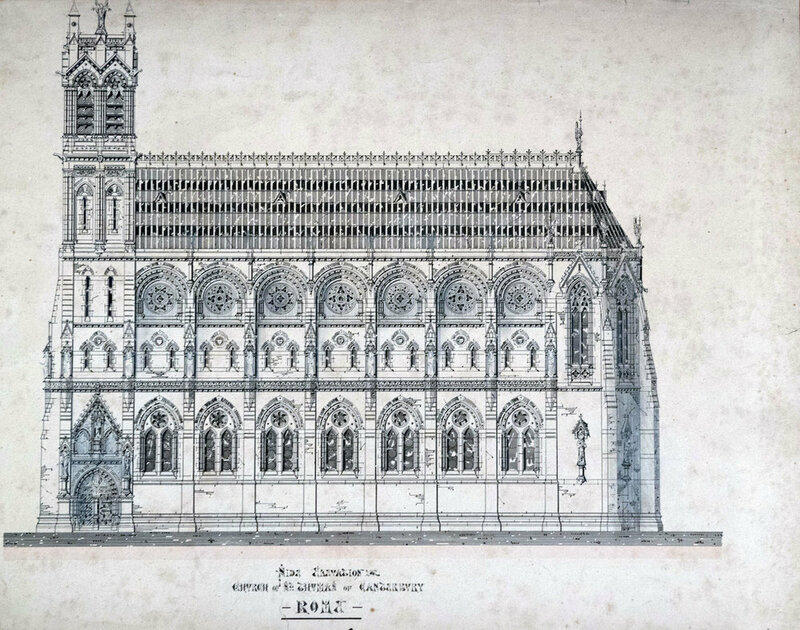 preserved in the Venerable English College Archives, depict the unexecuted designs of Edward Welby Pugin for the new Church of St Thomas of Canterbury, Rome, 1868. By the nineteenth century the college church of the Most Holy Trinity and St Thomas of Canterbury, which dated back to the medieval Hospice, was in a shockingly poor condition. Part of the floor had collapsed in 1687 and by the 1790s serious structural problems in the walls and roof, not helped by the vicissitudes of the French occupation, led to its abandonment as a place of worship. Shortly after the College was ‘re-founded’ in 1818, the church was deemed to be beyond repair and services were moved to the Martyrs’ Chapel. It was there, for example, that Nicholas Wiseman (1802–1865), a former Rector and later to become first Cardinal Archbishop of Westminster, was consecrated bishop on 4 June 1840. As early as 1819, partial demolition of the old church was begun and plans were being drawn up, though never executed. A new fund-raising campaign was launched in the 1860s, in which Henry Edward Manning (1808–1892), Archbishop of Westminster from 1865, and Mgr George Talbot (1816–1886), a close confidante of the pope, took leading roles. This appeal was not just about building a functional space for the use of students. The College church was to be ‘reinvented’ not only as a seminary chapel but as the national church for England and Wales: ‘St Thomas of the English’ would stand aside from the city’s other national churches. ‘We are ... left almost alone, among the greater countries of Europe, without a national Church’, the Appeal of 1864 stated, ‘yet, more English visit Rome than natives of any other country’. This was a time of growing confidence for the English and Welsh Catholic community, with its newly restored hierarchy, and the College church would be ‘a public monument of gratitude’ to the Holy See and a sign of English and Welsh Catholic ‘fidelity, submission and filial reverence.’ It would also commemorate the long tradition of English and Welsh Martyrs, as seen in the celebrated tribune frescoes and the church’s dedication to St Thomas, who was, in the mind of Pius IX, ‘patron and protector of the Church’s choicest and most delicate privileges, model and leader in her great combats with the adverse powers of this world’. It was no accident that Pugin was asked to produce designs in the neo-gothic style, for this was seen as evoking in the very heart of Rome the glories of pre-Reformation English Catholicism and representing the doctrinal and moral truths of the Faith. Pugin’s designs involved tall windows, buttresses, pinnacles, sculpted figures and a rounded apse, which would have necessitated the destruction of the College property at Via di Monserrato 46. However, by 1867 Pugin was no longer involved in the scheme. The death two years previously of Cardinal Wiseman removed a prominent supporter of Pugin and the gothic revival. Meanwhile, opposition was gathering within Rome, especially from the likes of Cardinal Giacomo Antonelli (1806–1876), the powerful Secretary of State, who favoured a more ‘Roman’ style and was afraid of antagonising the Protestant English. The pope’s architect, Virginio Vespignani (1808–82), submitted alternative drawings, which were eventually accepted. 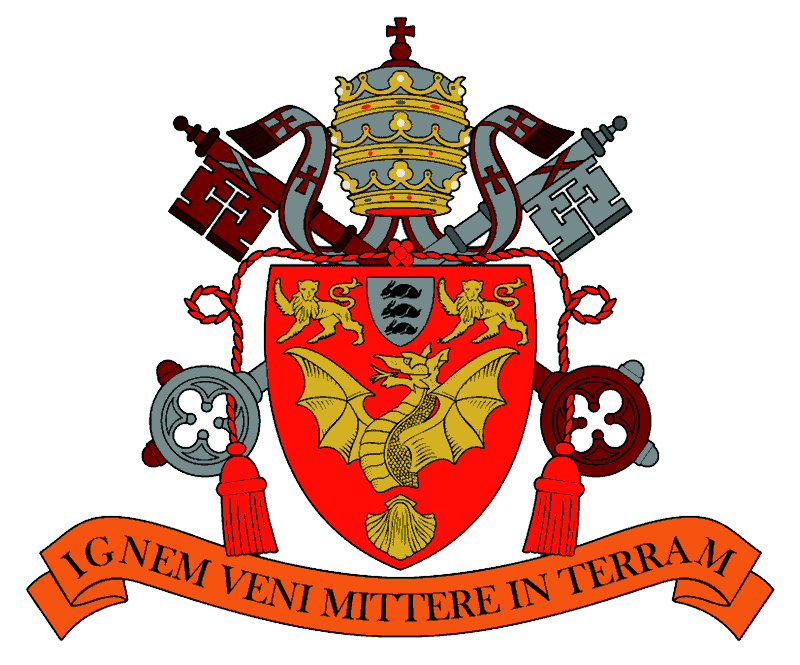 Despite hopes that the church would be ready for the opening of the Vatican Council in 1869, it would not be completed until 1888 due to a combination of financial uncertainty and difficulties in construction. 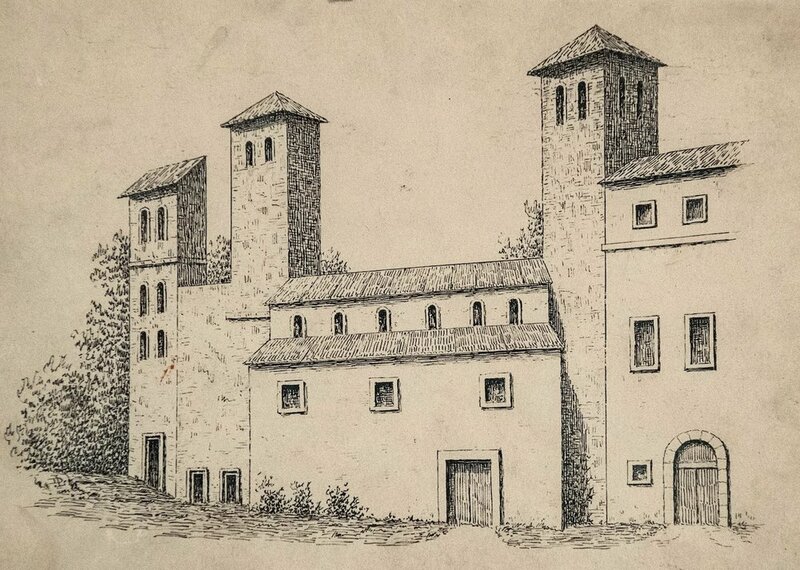 He insisted that his abandoned plans be preserved in the College Archive so that posterity might make its own judgement by comparing his ideas with Vespignani’s design below. One hundred and fifty years later, which design do you think is the stronger? Carol M. Richardson, ‘Edward Pugin and English Catholic Identity: The New Church of the Venerable English College in Rome’, Journal of the Society of Architectural Historians, 66 (2007), 338–365. Carol M. Richardson. ‘“Glorious hopes and designs”: the Pugins in Rome’, The Venerabile, 32, no. 1 (2000), 45–59. The design by Virginio Vespignani which was accepted instead of Pugin’s. Vespiganani subsequently made modifications to this design.